Below is a consignment Alfredo Primavera made in 1978 in Cremona Italy under the guidance of Virgilio Capellini. It is a fine example of Primavera's early work. 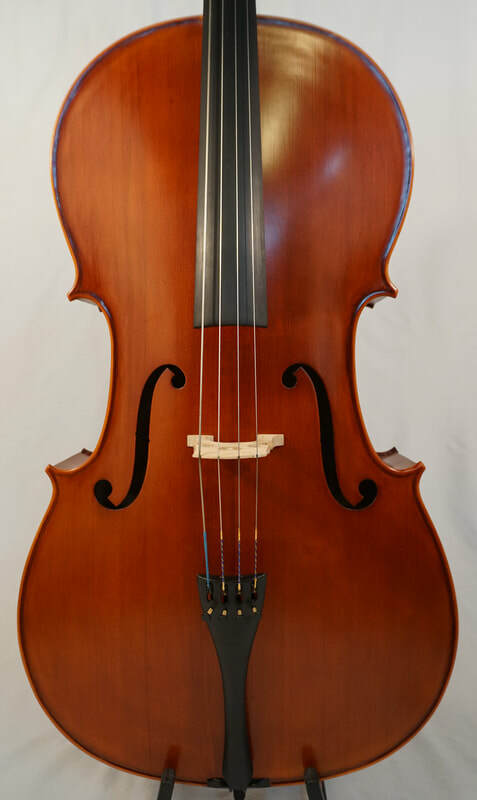 Set up with Spirocore and Larsen strings and an Aubert Luxe bridge. Boasting a powerful resonance and sweetness of tone. 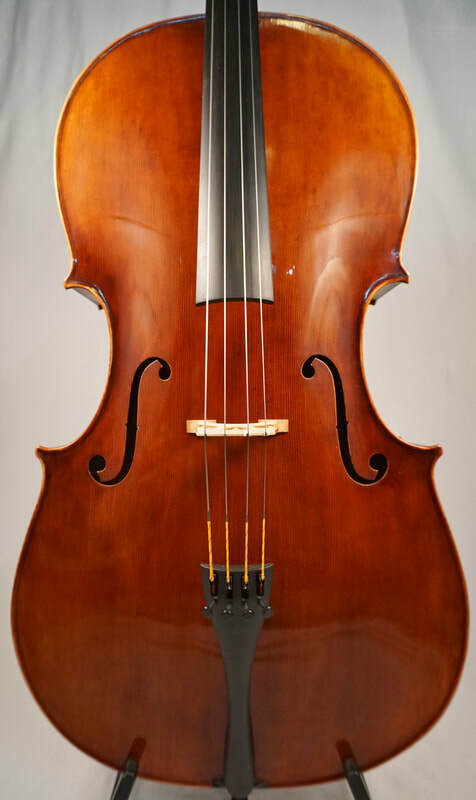 An ideal instrument for the professional cellist that demands the most out of their instrument. 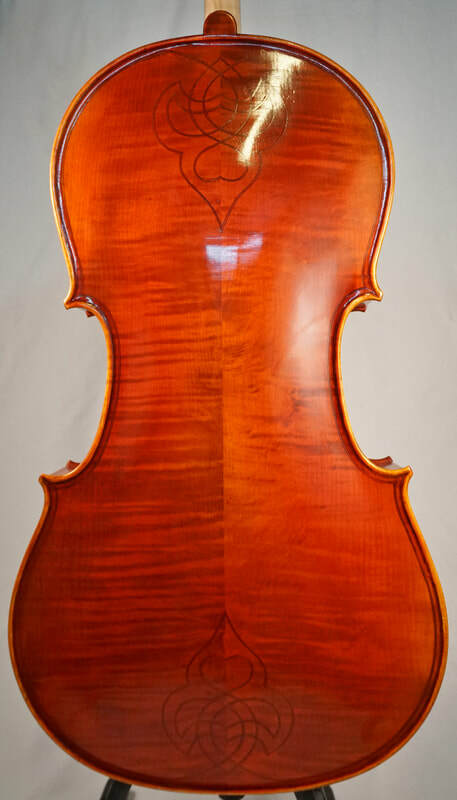 Primavera made both meticulous reproductions of Stradivari and Montagnana at this time, and this particular cello is a Stradivari design. 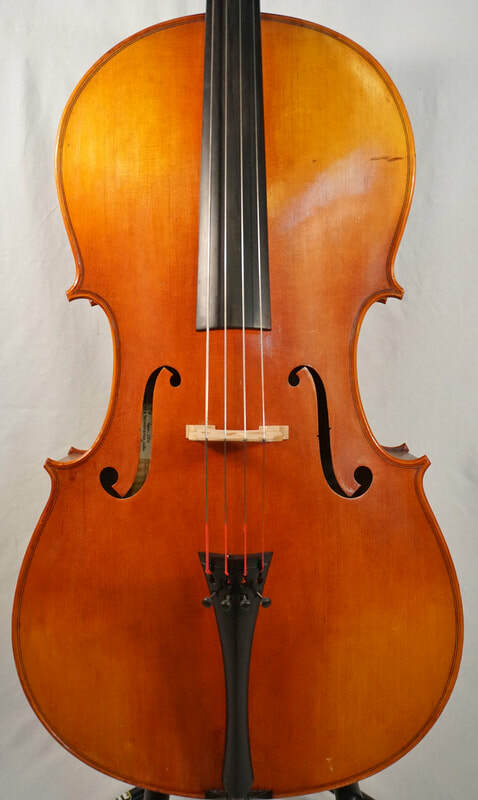 "Alfredo Primavera comes from a well-known family of violinmakers; his grandfather Giuseppe; originally from Abruzzo in Italy, emigrated to the United States at the beginning of the nineteenth century and founded the House of Primavera in Philadelphia, today known all over the world. His father Adolfo was born in Philadelphia in 1930. 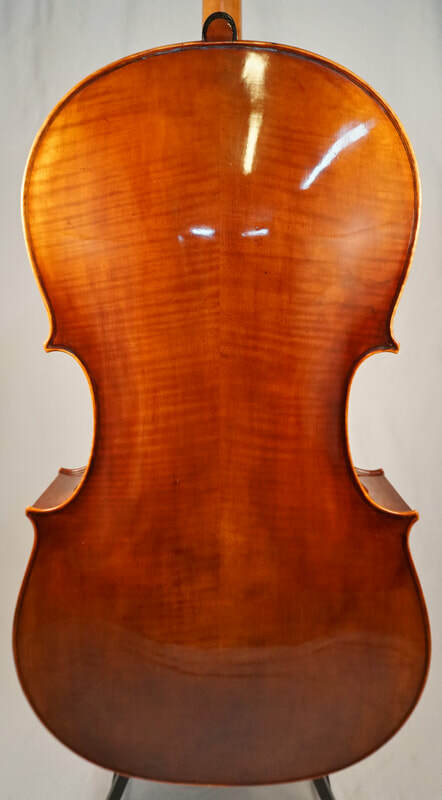 He came to Cremona in 1947 and graduated the International Violinmaking School in 1951. In 1967 he returned to Philadelphia where he took over the family business on the death of his father, remaining with the business until his death in 1996. Alfredo was born in 1954 and from childhood he frequented his grandfather's workshop. 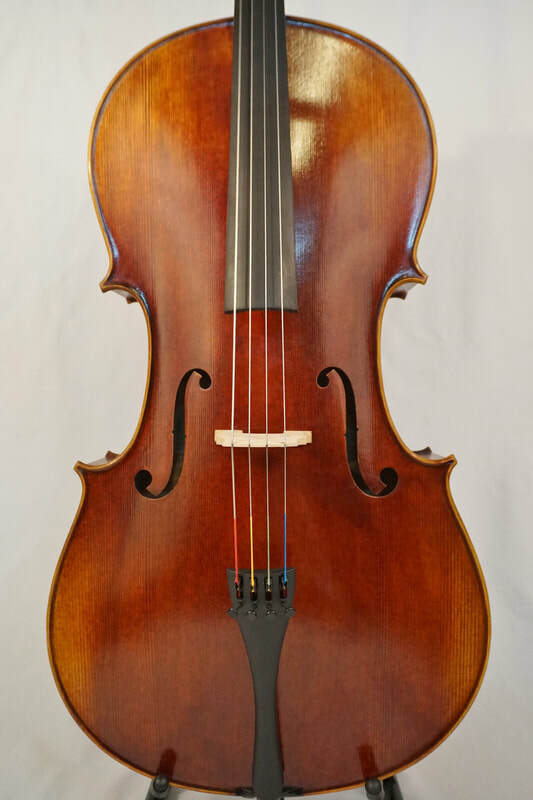 When he was thirteen he began studying violinmaking under the guidance of his father particularly specializing in the restoration of antique instruments. 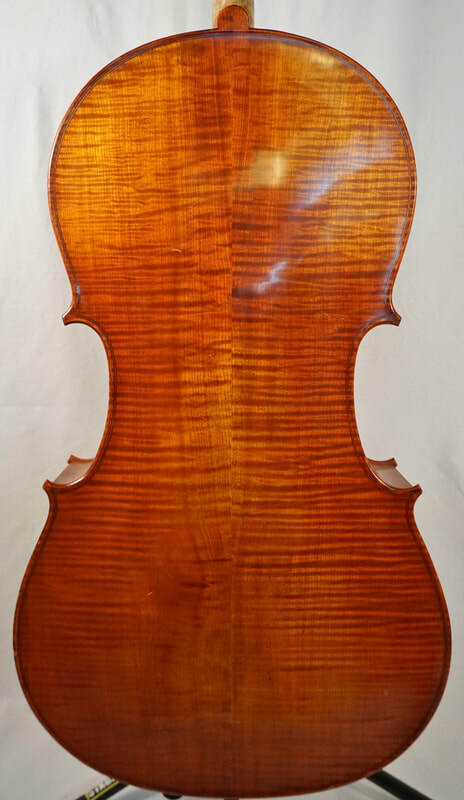 In 1972 he moved to Cremona to attend the International Violinmaking School where he was a pupil of the master Pietro Sgarabotto and Gio Batta Morassi. 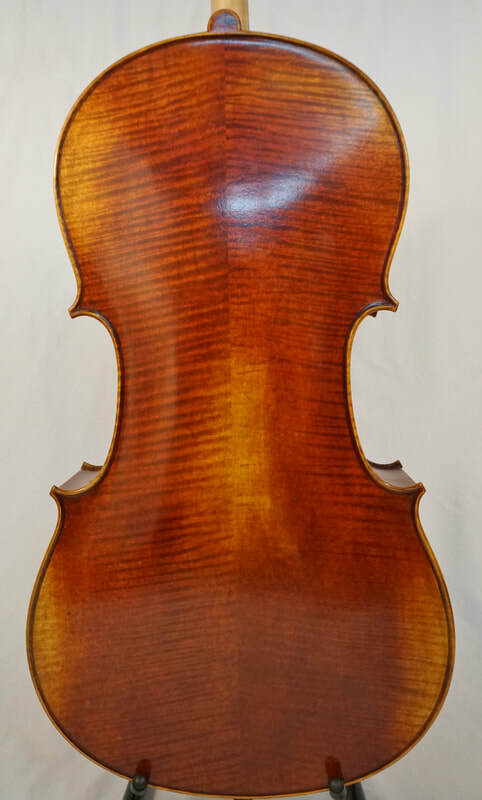 He graduated in 1975 and after working for two years in master V. Capellini's workshop he opened his own workshop in 1977 in front of the violinmaking school in Cremona. 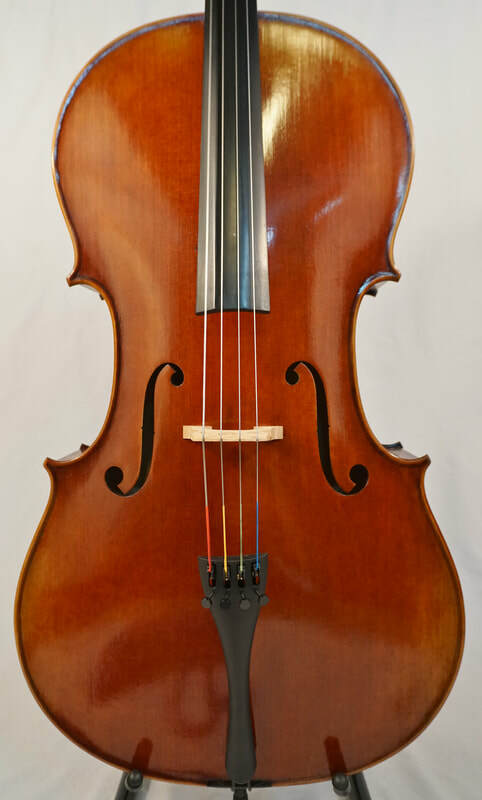 As well as his violins and violas of fine craftsmanship, be is also specialized in the production of violoncellos which faithfully follow the models of Stradivari and Montagnana. 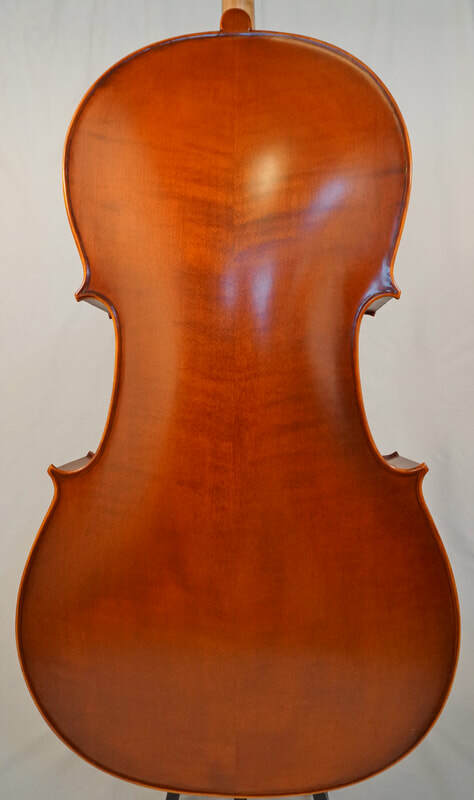 His instruments are characterized by their meticulous finish and excellent acoustical qualities. 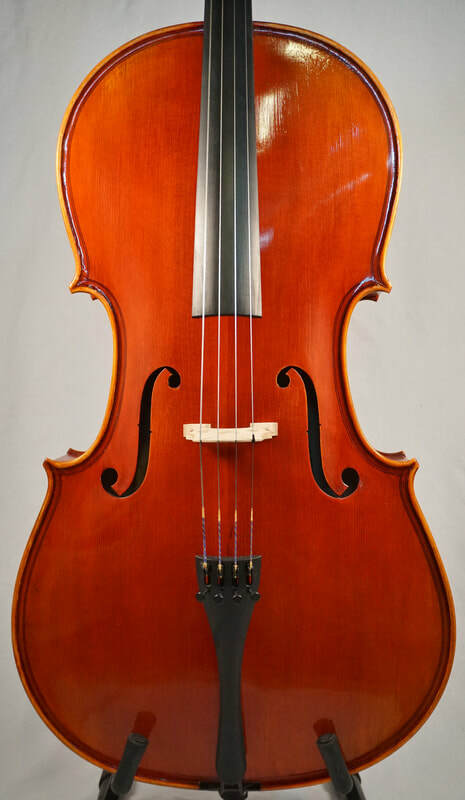 They are particularly requested by professional musicians, andare sold in the United States, England and Japan. 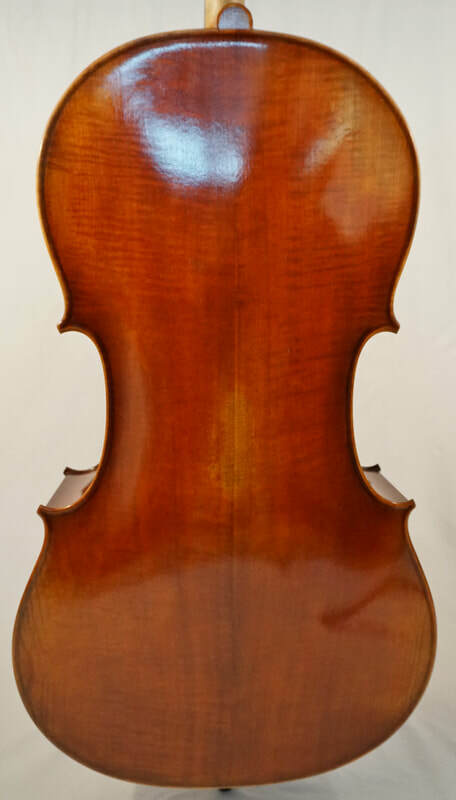 Alfredo Primavera is a connoisseur and expert of twentieth century Italian violins with a wide experience in buying selling and authentication." ​$25,000. Ask about a 10 day home trial.